Scott E. Lyons represents senior secured, first lien, second lien and mezzanine lenders, agent banks, BDCs, SBIC lenders, borrowers and private equity sponsors in a range of commercial finance deals. 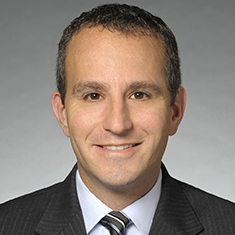 He advises on leveraged buyout transactions; cash flow and asset-based transactions; unitranche, first-out-last-out and one-stop financings; cross-border financings; specialty financings; ESOP financings; health care financings; franchise financings; restructurings and distressed financings, including debtor-in-possession and exit financings; capital call liquidity facilities; equity co-investments; and sports team financings. Scott’s practice covers a broad range of deal sizes, from single bank financings for family-owned companies to broadly-syndicated credit facilities for upper-middle market and large-cap equity sponsors. Scott's experience includes a wide platform of industries, including media and technology, software, health care, specialty finance, restaurant and franchise, and manufacturing. Scott's institutional clients include Antares Capital, Capital One Healthcare, Victory Park Capital, Varagon Capital Partners, Ares Capital, TPG Specialty Lending, Golub Capital, First American Bank, Fifth Third Bank, BMO Harris Bank, Bank of America and the Oakland Athletics. Scott’s practice also covers private equity and mergers and acquisitions, emphasizing the representation of numerous private equity funds, particularly in the health services industry, as well as the representation of numerous technology start-up companies. Scott has practiced law with the firm his entire career.